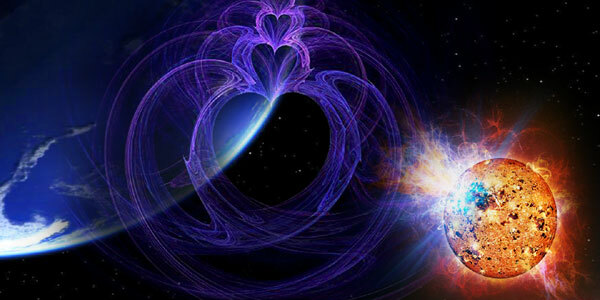 It is becoming clear now, regarding the energies of this year of 2012, that we have the critical point on our evolution. We all have been waiting for this time. This is our time. As old souls, incarnated and still ones un-manifested in this physical reality, we come at these precarious junction points, at the end/beginning of ages, because we absolutely love it. Now you . . . that are already in physical form, you are having to deal with your rapidly morphing DNA and beyond that, adjust to the actual laws of nature that are changing right under your feet. You will feel like the carpet has been ripped out from under your feet. But remember . . . this is your time, and you came here for this time. SO MANY have come to experience this rapid evolution and rebooting of an entire system. Your body IS going with you. This has been the plan for eons. Atlantis was only a dress rehearsal, and we know that it didn't go so well. But you have all learned and grown through this age, and this time . . . is your time. We can see from NO TIME, and we can see that you have completed the job. You are victorious, and you are celebrating in the most extraordinary style. Hold this dream of victory as you pass through this year with all of its tidal waves of energy that are coming. There is no doubt that your body will feel rocked and surprised by this year's energies. But your heart and inner truths are unshakable now. Rely on this inner truth when your body is telling you differently. No one will be immune to this process. There are going to be a lot of mixed signals in the outer world. Don't listen to them. There will be medical experts out there telling you to drug yourself with anti-anxiety and anti-depressants meds. This won't help you as you are going to reboot anyway. Fighting the process will only make it less joyful. There will be well meaning alternative healers as well who will tell you to eat this, or do that. Again don't listen to them unless your heart is in full resonance with their suggestions. Everyone has a unique past that comes from your spiritual ancestors. We are not talking about your genetics; like who are you parents or grandparents. We are talking about your spiritual past. This is an akashic past that is much more potent than that of your genetic past. Listen to your heart, your core, your inner constant. This is your orientation point in a world that is wobbling like an out of control gyroscope. Fighting the transformation at this point will only make it harder and less joyful. There is no escape. If you are in a body, you will re-boot and re-celebrate. Remember . . . this is great fun for you spirit and soul. This is why you came here. In these coming waves, you are going to feel out of sorts and your body is going to give you weird issues that seem to come and go. You might feel like you need to hunker down and lay low for these shifts and changes; but we do not suggest this, although it is your free will to do whatever you want. Let us explain . . . You know when you sit in a chair too long, you get stiff. This is what will happen if you don't KEEP MOVING while these waves wash over you. You will not find the answers you need while hiding in your home praying for solutions. The world is moving into a unified field of collective manifesting. You cannot do this by yourself. Pieces of your solution to this transformation are out in the world with other like-minded souls. All the pieces to this transformation are spread out among all of you. This is why you need like-minded ones around you. These waves are too large to surf alone. You must do this together. There are going to be a lot of huge waves in 2012 that we will be surfing together. This is a good time to gather with like-minded soul family that live in a place that is centered in the heart and not from fear. Surround yourself with FEARLESS beings. We love the logo "NO FEAR" that you wear, because this is what we are asking you to BE now; FEARLESS and full of LOVE, TRUST, and a deep knowing that the big celebration is nearly upon you all. The following are some of the energy waves that, at this point in our no time perspective, we expect may come to you. This does not mean that it will happen as we say here. The future is not real and can change at any moment as you evolve. There may be other waves that are coming as well that we do not see today as Aluna transcribes this for you. The first wave will be on your Equinox. GATHER TOGETHER and celebrate this beginning wave of your great transformation. Equinox will bring a much needed balance in your world that will be necessary for what comes after this date. Balance yourselves in preparation as you will need this later. We can't say this strong enough. Please hear this, and do as your heart calls. This ballance will be essential in the days to come. From Aluna . . .
On March 21st, we will enter the Maya year of 2 KAN (Kiche long count) and 10 EB (Yucatan Haab count). 2 KAN is about balancing duality, but Kan can also bring up survival issues. I think this is why the Star Elder are speaking strongly about gathering together with like-minded souls, so your collective positive intent will soften the duality and the body issues that might raise survival issues. Negative and fearful friends and family, etc… will be toxic to you now. The year of 10 EB is about the awakened human finally arriving and anchoring. We are finally going to put our feet down on a new foundation to a new world. 10 is all about manifesting in a real physical dimension. EB is about exuding outer peace, but inside there can be inner turmoil. The outer peace is our heart knowing and truth. The inner turmoil, fear, etc... that we have inside is the last of the old programming fading away. If we do not feed it, it will starve. Feed the Love, starve the fear. Go to http://www.alunajoy.com/index2.html for suggestions for the Solar Wave Equinox Global Celebrations. Back to the Star Elders . . . The next large wave we see that you might experience profoundly is a total solar eclipse on May 20th (http://eclipse.gsfc.nasa.gov/SEgoogle/SEgoogle2001/SE2012May20Agoogle.html). In the path of this total solar eclipse, your dimension will begin an entire reboot of its operating system on your Earth. As the sun is blocked so perfectly by your moon, in this very still, no-time place, a new operation system will be created and uploaded into your body as well as your world, solar system and universe. Remember that this is a universal shift and recalibration . . . not just a planetary one. We are shifting with you, as well as Ascended Masters and Angelic Realms. We are all transforming together as ONE in unity. If you are in the path of the shadow of this eclipse, the download will be quicker, more complete and graceful. You will become the living messengers for this new download for the rest of the world that did not have the luxury to travel into the eclipse path. This new operating system will begin to spread across the Earth over some time (a month or two). Again we strongly say, gather with fearless ones on the days surrounding this reboot. Gather with ones that come from the inner knowledge of Love, trust and truth that this transformation of our reality is already victorious. (We will be in Mt. Shasta in the path of the eclipse. Join us if you are called to do so (http://ascension-saintgermain.com/may20.html). Another large wave we see that you might experience profoundly is the June 6th Venus transit. For the last 8 years, your collective consciousness has been building a model for a unified, universal heart. This process began on the last Venus transit on June 8th, 2004. This new unified, universal heart model will be downloaded into the new operating system. The collective unified heart will be anchored. Any place where there is not love expressed, it will be shaken to its core. This will cover everything including your personal relationships all the way to global governmental systems. This new down load will make selfish acts nearly impossible to achieve. In other words, we will begin to think, act and live in the knowing that there is no separation and all life is connected. We will not be able to make a choice without considering the whole and future generations. This new heart model will take several weeks before it is fully anchored. The universe is loving and kind and will allow this heart transformation download slowly so you can readjust with each daily heart pulse. Breathe . . . surround yourself with loving, positive, like-minded souls. This will make your heart transformation a joyful experience instead of a painful one. But we see that this will be somewhat uncomfortable for everyone to a certain extent, as this new heart program has never been experienced in a human form before. This program has been long awaited by so many of you that already consider your actions and the future reproductions of these actions. Thank you for holding this space open for this program to down load. You are and will be successful. The next big wave we see will be on November 13th . . . the second total solar eclipse (http://eclipse.gsfc.nasa.gov/SEgoogle/SEgoogle2001/SE2012Nov13Tgoogle.html). Now that the heart model has been fully anchored into your new heart, as well as into your world and our universe, this eclipse will be quite important and very potent as it makes necessary adjustments based on our collective consciousness. This will make the universe self-justifying. What we are saying here is that anything that is still not in alignment with unified love will be reprogrammed to make adjustments for human error. This is not a judgment on humanity. But we know that holding a perfect love space in your wobbling world will be hard to accomplish 100% of the time. So the universe is giving you a break for any mis-qualified energy you may have anchored. We also tell you this to be easy on yourself. It is difficult to hold perfect space in a radically morphing world. Relax and just be your truth as much as you can. The universe will clean up anything you might have done that came from anything but love. In this eclipse path, there will be a temporary no-time space in which to reboot all the upgrades. This eclipse will be quite intense, and we are glad that most of the passage of this eclipse is over the ocean to soften its impact. During this time, we can see that there is going to be a lot of upgrading. Stay in a place of peace and neutrality as the reboot washes across the Earth. Now you are running on a fully upgraded and re-calibrated system. It is time to give this new world a test run. You have been ready for this for eons. The next wave will come in mid-December on 12/12/12 which also falls on an important celebration day for the Maya 8 BATZ. For the Maya, this day is a recalibration of their sacred calendar, and it will set off an explosion that will light the fire under the new programming that we have helped download this entire year. Essentially the Maya Elders will be plugging it ALL in. This comes almost 2 weeks before the December 21, 2012 date that so many of you are aware of. The last wave of the year comes on December 21, 2012. All you old souls will be celebrating in love and peace. Any that have not allowed this recalibration to take place, and were strong enough to hold it off , will hit an extreme crisis point. Your job is to anchor love and positive intent in celebration, and THIS ACTION will bring these last hold outs into alignment with the new program. This is not a judgment for these souls. They were the last hold outs to keep the old world running up to the very last second, and they did this for us. This was a very hard job for them. ALL souls on your Earth are pieces of God. So don't forget this. So, with this said, we suggest and hope that you will gather in HUGE numbers on December 21, 2012 around the Earth to celebrate no matter what the outer world is doing. http://www.alunajoy.com/solarwave.html Remember that you are living in the no-fear all-love zone. You are opening portals to your heart, the Earth and the universe. Be out on Mother Earth and under Father Sun. Go to your sacred sites, celebrate and be in love with all your soul family. This is your time. You have waited and prepared for a long time. So allow yourself to celebrate this victory and revel in the glory of the shining God that is in YOU and now anchored in the world and universe. Be in Love and Peace and know all is well.